Rainwater harvesting is the process of collecting, storing, and filtering the naturally pure and soft rain that falls on your roof. 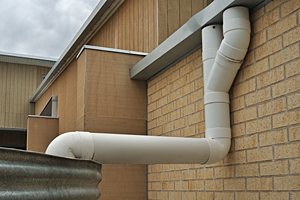 Through this process, rainwater can be used for potable and non-potable purposes. It can be used for drinking, cooking, toilet flushing, laundry and landscape irrigation. This is a cost-effective method of reducing your water consumption provided by utility companies. But the installation of rainwater harvesting system requires expertise. It should be installed by professionals to maximize its benefits. For Arizona homeowners, one company that you can call for the installation of rainwater harvesting system is Landscape Magic. Our company is one of Arizona's leading providers of rainwater harvesting system both for residential and commercial areas. There are several reasons why you should consider the installation of a rainwater harvesting system. On top of these reasons is your opportunity to save thousands on your water bills. Choosing to reuse rainwater is also an environmentally-friendly act. These are just some of the reasons why many homeowners and commercial organizations in the state choose to install rainwater catchment. Rainwater is reasonably clean and is absolutely free, which allows homeowners and commercial organizations to save a good amount of money from high water charges of utility companies. It provides complete control over water supply, which makes it ideal for areas with water restrictions. It helps conserve water and is generally environmentally responsible. Rainwater is very ideal for gardens and landscape plants because it is free from chlorine. Installation of rainwater harvesting system is not costly and is easy to maintain. In fact, Arizona provides incentives to homeowners with this system. It can serve as a main source of water or as a back-up source for emergencies. The system is very flexible that it can be expanded, reconfigured, or relocated if necessary. With the type of climate in Arizona, our company recognizes the needs of both homeowners and commercial organizations for rainwater harvesting systems. But Landscape Magic do not simply design and install rainwater harvesting system to address the needs of Arizonians. We ensure that the overall system we install, especially the rainwater catchment will not easily crack and collapse over time. We ensure quality craftsmanship in all rainwater harvesting project we handle. We recognize the fact that the usefulness of the rainwater harvesting system will largely depend on the precision of its design. Also, we ensure that our clients will get operational and efficient rainwater harvesting facility to prevent frequent repair and maintenance. Our membership in the American Rainwater Catchment Systems Association is another assurance that you are getting the right people for this project. In addition to the efficient design of our rainwater harvesting system, Landscape Magic also uses top grade products in every element that composes rainwater catchment like tanks, Flotender system, filters, feeder tubes, and drip emitters. Our team of experts can build rainwater harvesting facilities anywhere in Arizona from Sedona to Verde Valley. Just let us know of your preference and we will install you the most fitting rainwater catchment to address your needs.